Blockchain, which can be used to create a decentralized, permissioned electronic ledger for all kinds of business transactions, “has not even improved upon the standard electronic spreadsheet, which was invented in 1979,” Roubini wrote in the op-ed column. Roubini is known for having been one of the few economists who predicted the 2008 financial crisis. Yet, after witnessing bitcoin’s fall in value over the past year, Roubini said it and other cryptocurrencies represent the mother of all market bubbles, enticing investors, “especially folks with zero financial literacy – individuals who could not tell the difference between stocks and bonds” – into a frenzy of bitcoin and crypto buying. Does Roubini understand cryptocurrency and blockchain? Roubini’s testimony before the Senate Banking Committee was “certainly entertaining and will get lot of media attention,” said Vipul Goyal, an associate professor in the Computer Science Department at Carnegie Mellon University (CMU). “However, it’s unclear to me if he is really a technology expert and understands the world of crypto,” he added. Goyal pointed to leading tech vendors such as Amazon, IBM, Microsoft and Oracle who are investing heavily in blockchain and have rolled out blockchain-as-a-service offerings (BaaS) that let businesses use the cloud to create permissioned blockchains for business partners to use. Prior to becoming a professor at CMU, Goyal worked as a Microsoft researcher for seven years. He noted that while he was employed there, Microsoft’s CEO, Satya Nadella, spoke multiple times about his vision for blockchain. “Surely, these are not naive gullible people which Roubini talked about,” Goyal said. At the same time bitcoin’s value was plummeting, the technology underpinning it was growing in popularity as a business transaction tool, enabling a “permissioned” or private electronic ledger that is both immutable and transparent to anyone authorized to view it in a group. Blockchain has been piloted and rolled out for cross-border financial transactions, as a platform for supply chain management and as the basis for a new “trust economy.” Even healthcare facilities are investigating the technology as a way to securely exchange patient healthcare information. In some ways, blockchain is a victim of its own success, Goyal said, noting that blockchain was taken “public” too soon. “Wall Street and financial investors started tracking it on a daily basis and that became the measure of success rather than how the underlying technology was developing,” Goyal said. Any disruptive technology takes several years to play out, become mature and find its place in the world, he said. The internet, Goyal noted, needed a decade to gain traction, and AI took even more time. Even cloud computing took several years to catch on, he said. “I think one should be patient and give [blockchain] time to mature rather than pass a sweeping judgement without any technical understanding just based on the price of cryptocurrencies,” Goyal said. Martha Bennett, a principal analyst at Forrester Research, said that while blockchain is not unique in its ability to securely exchange data among disparate parties, other technologies lack key blockchain attributes. For example, blockchain-based architectures provide the basis for exchanging data and automating processes in a shared infrastructure, without any single party being in charge, Bennett noted. Roubini was adamant, however, arguing that the real revolution in financial services is FinTech – and it has nothing to do with Blockchain or crypto. “It is a revolution built on artificial intelligence, big data, and the Internet of Things,” he said. Thousands of businesses such as PayPal, Venmo and Square use FinTech to disrupt every aspect of financial intermediation involving hundreds of millions of daily users in the US. Around the globe, billions more use similar low-cost, efficient digital payment systems such as Alypay and WeChat Pay in China; UPI-based systems in India; and M-Pesa in Kenya and Africa, according to Roubini. A blockchain solution from IBM and Maersk can help manage and track the paper trail of tens of millions of shipping containers across the world by digitizing the supply chain process. James Wester, IDC’s research director Worldwide Blockchain Strategies, said he read all 37 pages of Roubini’s Senate testimony and while some of his criticisms are “slightly overstated,” they’re not off-base – especially the ones concerning bitcoin, blockchain and financial services. Blockchain and other cryptocurrencies are currently less efficient than existing solutions for clearing and settling a high volume of transactions, Wester noted. For example, Roubini accurately pointed out that because its proof of work (PoW) consensus mechanism requires nodes (servers) to complete a complicated mathematical problem as a way of authenticating new data entries, bitcoin only allows for five to seven transactions a second. 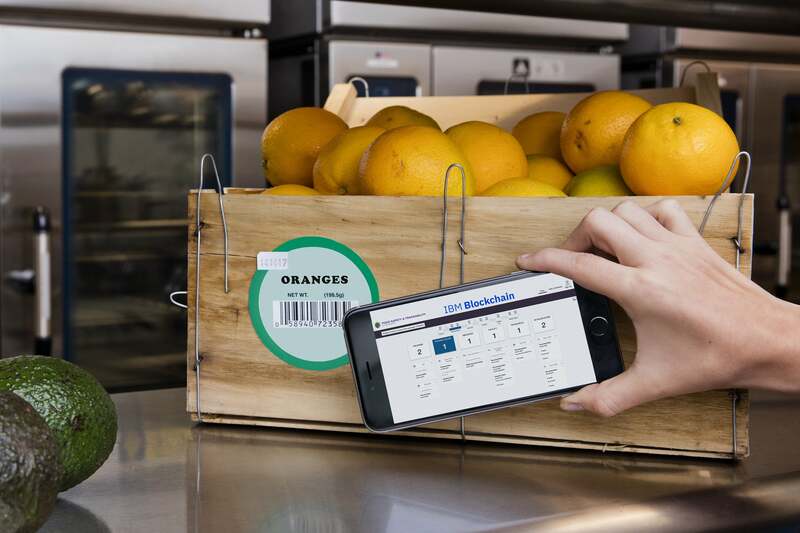 After piloting a blockchain-based supply chain tracking system, Walmart and Sam’s Club are telling suppliers to get their product data into the system so they can begin tracking produce from farm to store. The deadline: September 2019. Industry groups, including the Ethereum Foundation, have taken on the challenge of increasing the scalability and performance of blockchains. Wester took the biggest exception to Roubini’s implication that everyone involved in blockchain is a charlatan. “There are certainly people who are selling blockchain as a panacea for just about everything that plagues humanity, but even within the community of technology providers, programmers and more who are involved in blockchain projects – those people are not taken seriously,” Wester said.